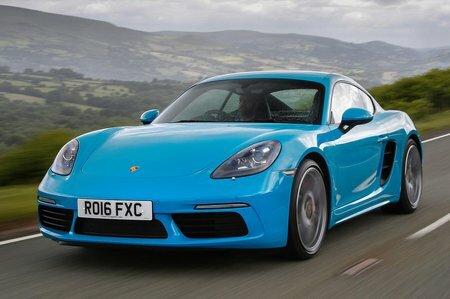 Porsche Cayman CAYMAN Review and Deals 2019 | What Car? Entry-level Caymans come with a 2.0-litre turbo petrol engine, air-con, xenon headlights, LED running lights, 18in alloy wheels, part-electric seat adjustment, part-Alcantara upholstery and a 7.0in touchscreen with sat-nav, Bluetooth, a DAB radio and Apple CarPlay. You get a six-speed manual gearbox as standard but there's an optional seven-speed PDK auto.